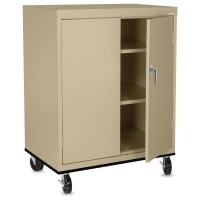 Work-height Sandusky Lee Mobile General Storage Carts keep your supplies secure and within reach. They roll smoothly on four heavy-duty casters. 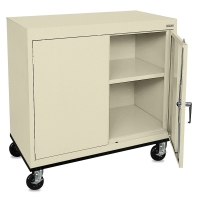 A three-point locking assembly keeps contents safe. 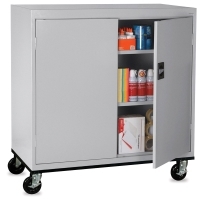 Adjustable storage shelves. 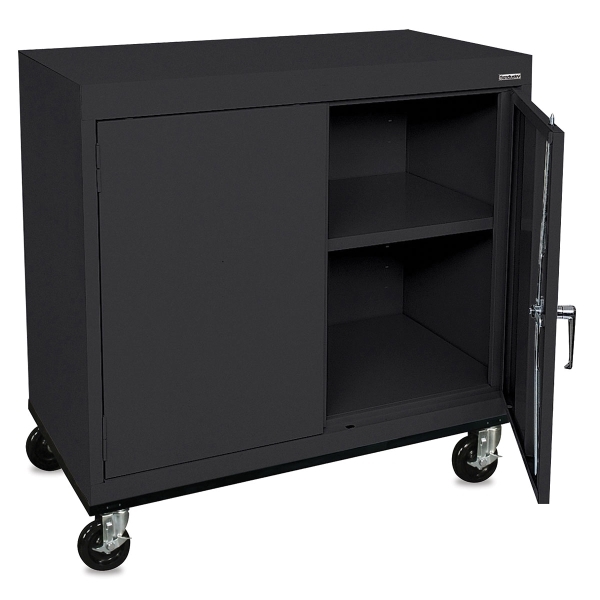 Made of heavy-gauge steel with a durable powder-coated finish. 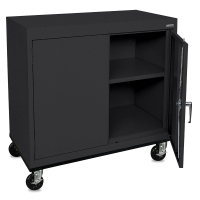 Black, 36" x 24" x 36"